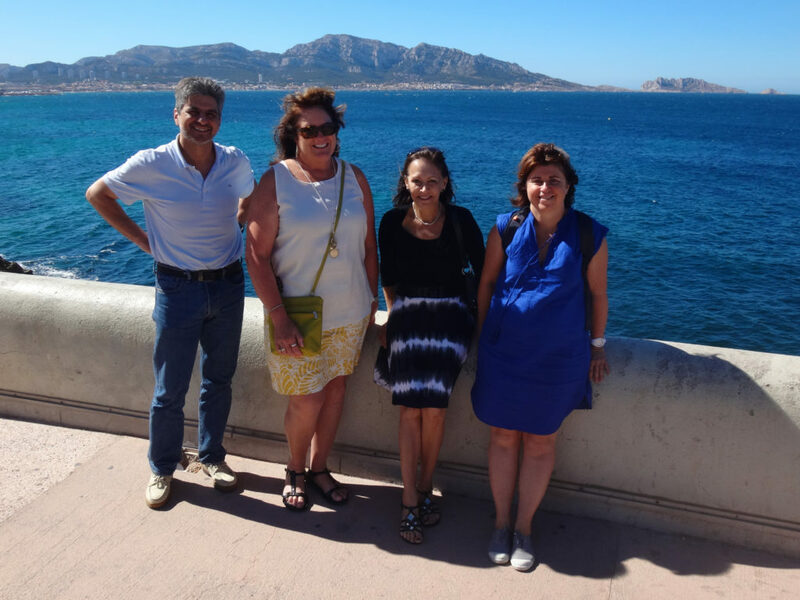 We were so very lucky to be introduced to Marseille by our new friends Carole and Daniel. 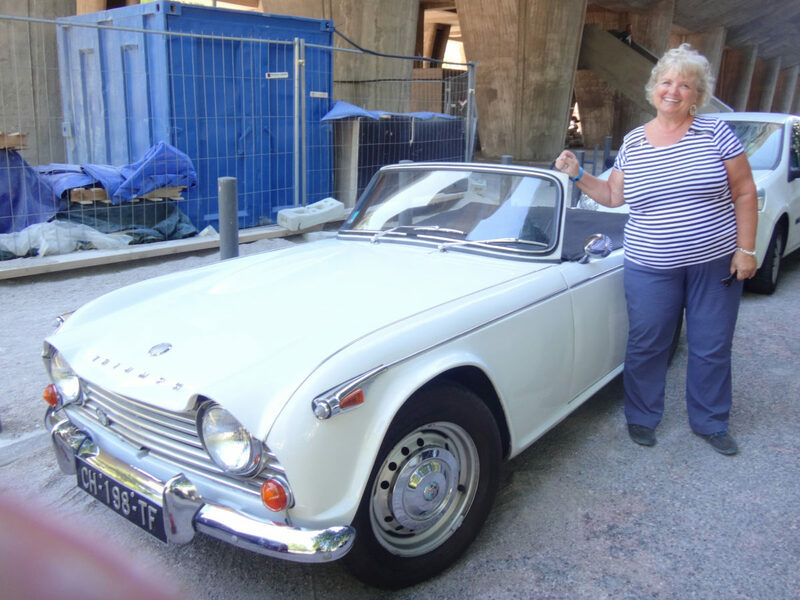 Daniel grew up in Marseille and graciously showed us his favorite places in this French city by the sea. 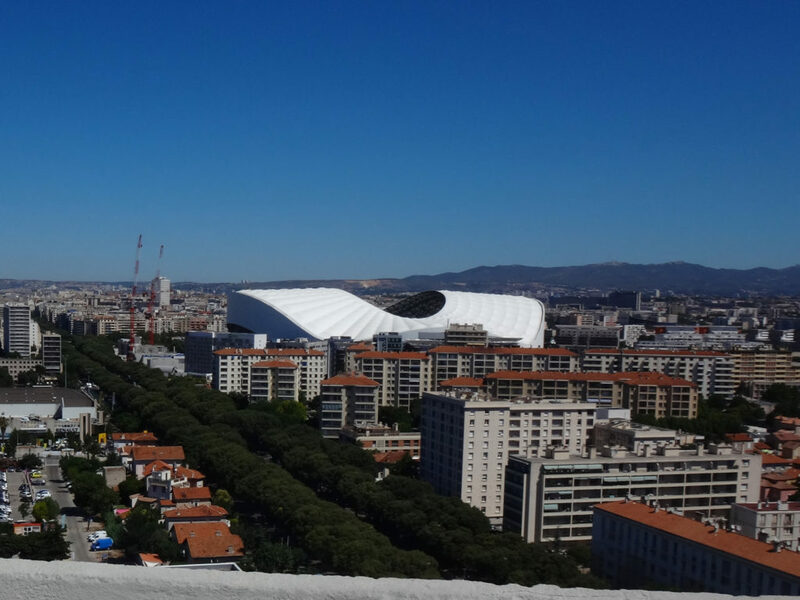 It was an especially exciting time to visit Marseille because France was playing Portugal in the finals for the Europe Cup that day. Fans started celebrating early, carrying drums, wearing blue jerseys and filling restaurants up and down the sparkling beaches. Flags flew from balconies in every direction I looked. Excitement was electric in the air! Here’s a very short video of fans gathering to watch the game on big screen TVs. 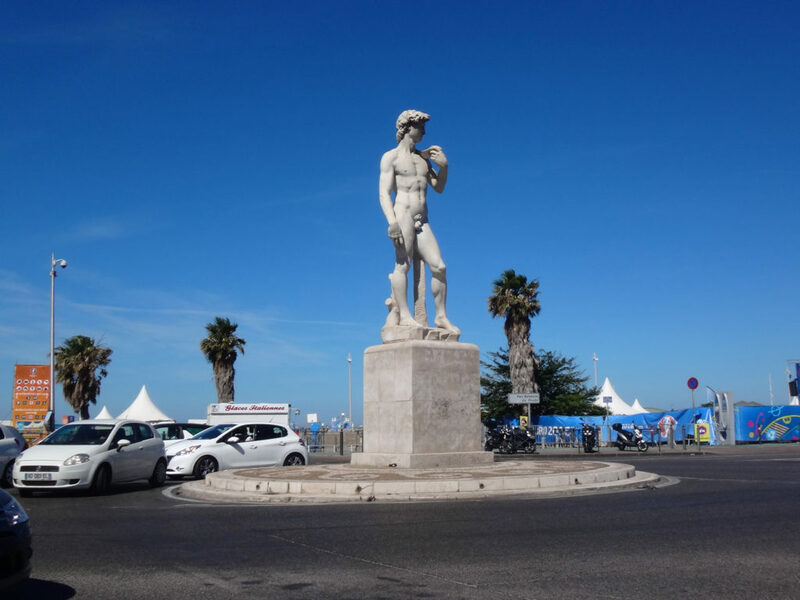 I was tickled to see David standing in a traffic circle in downtown Marseille. Daniel first took us to see the sea. We enjoyed the wind that wasn’t quite Mistral strength, but gusty winds blew steadily on us from the water and cooled us a bit on a hot and sunny day. Lots of people were strolling next to the sea on a Sunday morning so we had to wait for a break in the “traffic” to get a photo. 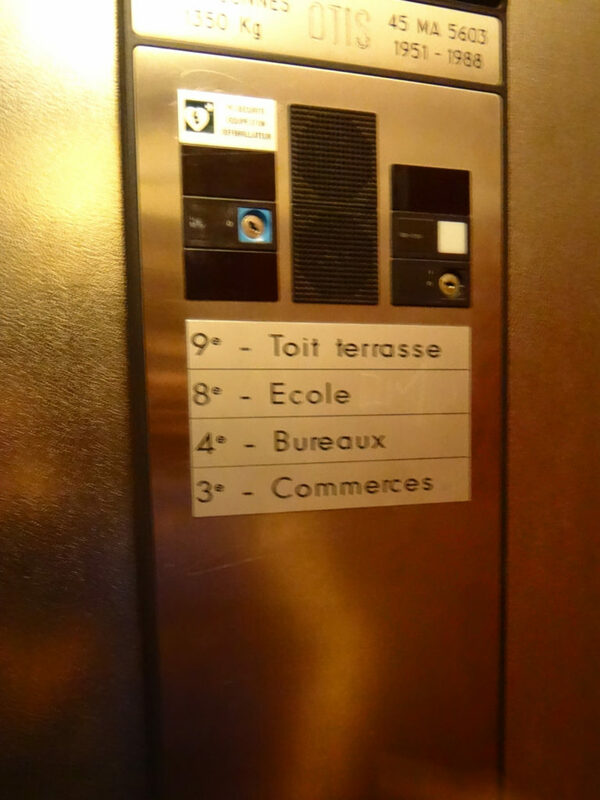 Daniel then took us to a huge housing tower that we never would have seen on any packaged tour of Marseille. 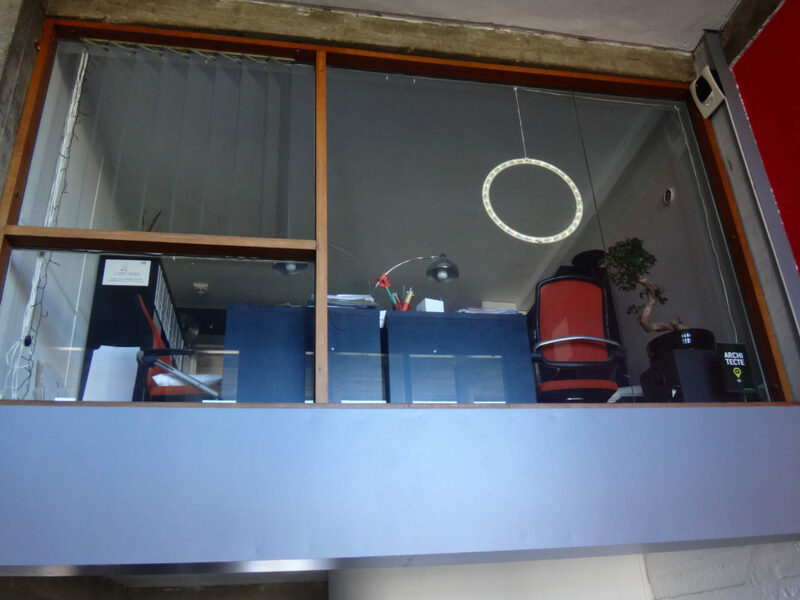 The building is a self-sufficient city within a city with housing, shopping, a school, recreation, restaurants, and a hotel. 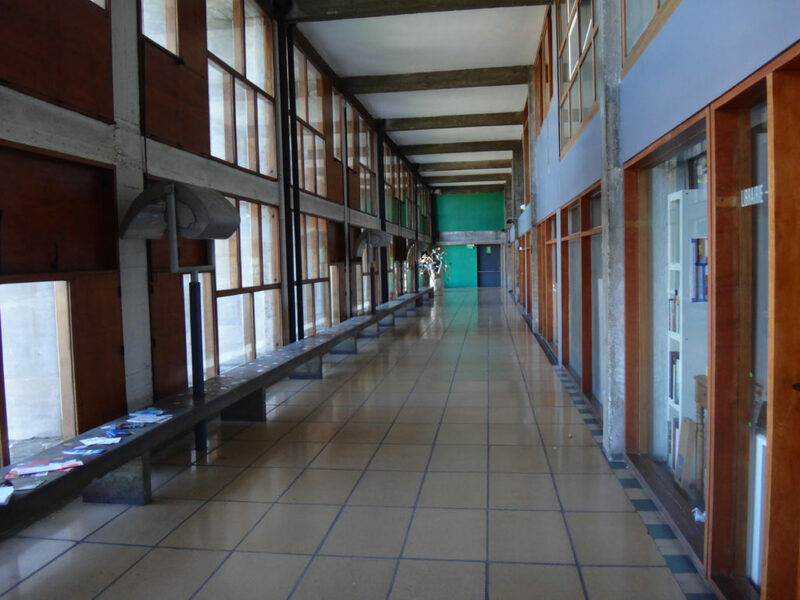 The hallways are called streets and resident committees create a rich social life. 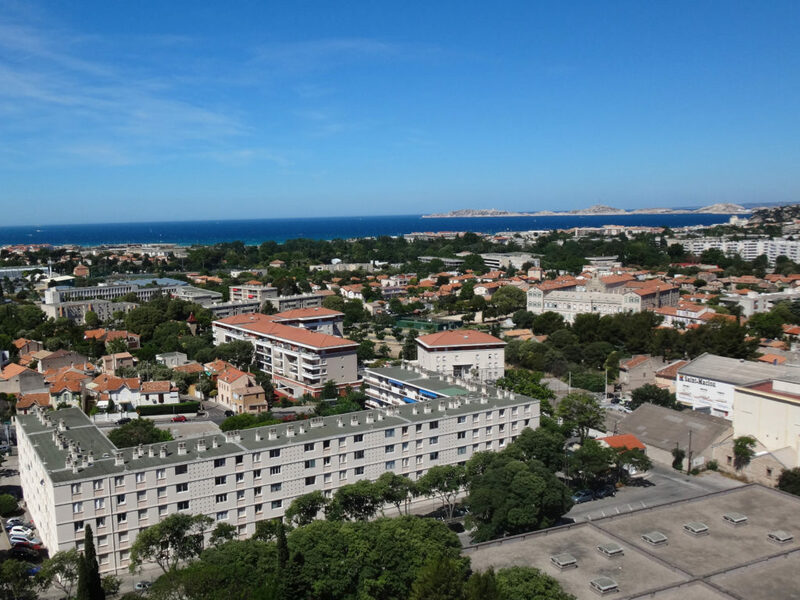 Swiss-French Architect Le Corbusier designed several of these all-inclusive habitats around 1950 but Marseille’s is the most famous. He strived to build modern living quarters for people in crowded cities; these were buildings where residents would never have to leave the building unless they wanted to. 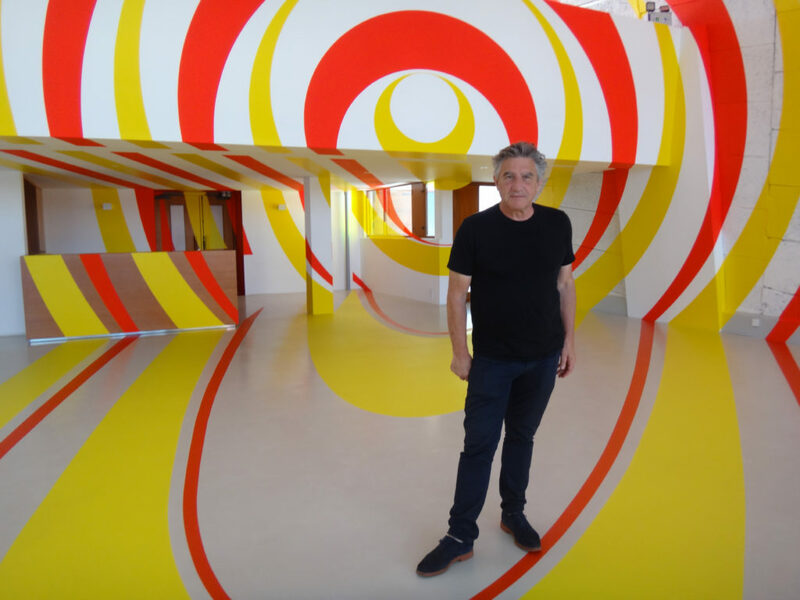 I was thrilled to meet the artist Felice Varini as he finished his dizzying graphic in the building’s gym. The design offers a different perspective if you move even a few inches forward or backward, left or right. 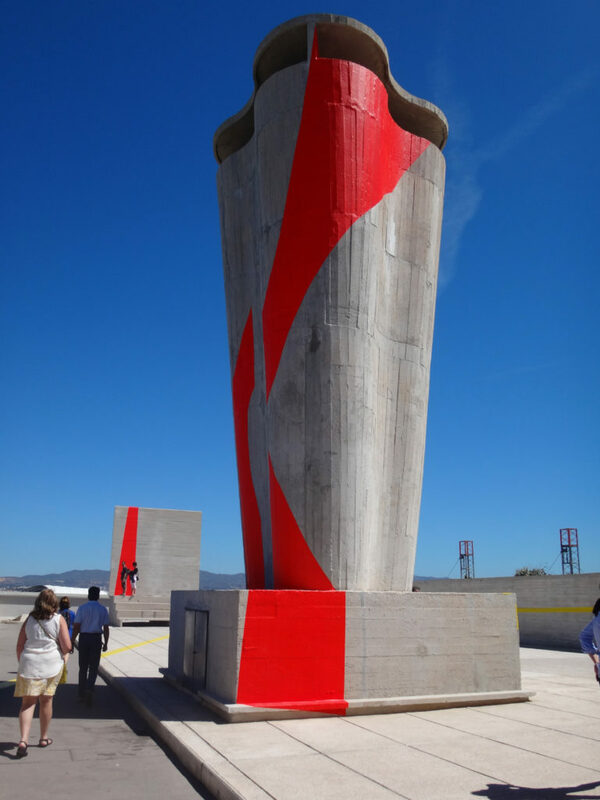 The Swiss-born artist lives in Paris and is known for his urban paintings on buildings, walls and streets. 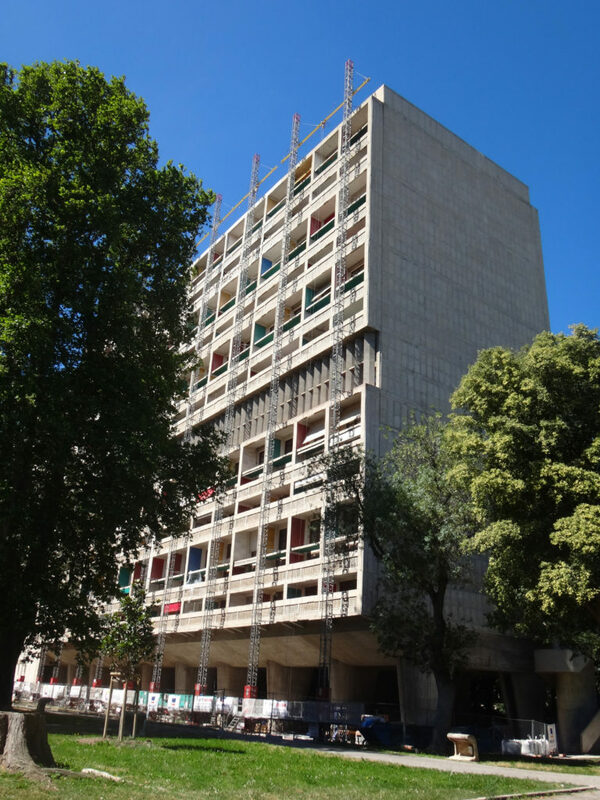 The gymnasium of the Unite d’Habitation Le Corbusier. Marseille, France. 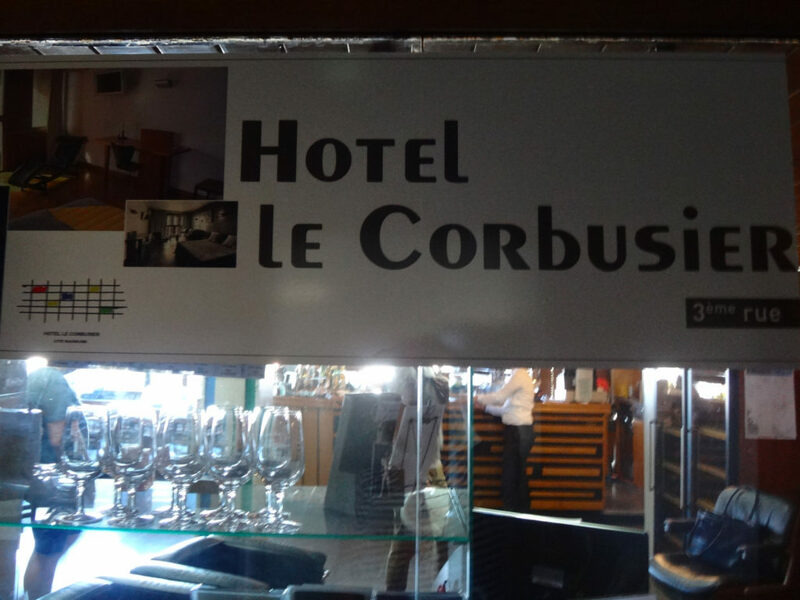 The designer of the building itself is LeCorbusier. 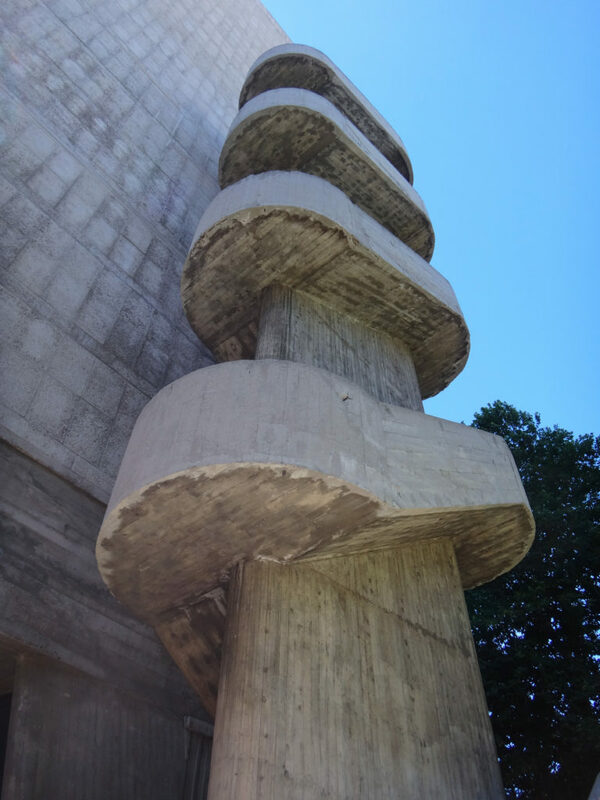 He, perhaps, launched the Brutalist movement in architecture which used “raw” (brutal) materials such as unfinished concrete. (Some folks say the huge buildings are just brutally ugly but I like them.) In the photo below, the 66-year-old building is getting a bit of a face lift but the redesign still incorporates raw materials. Brutalist buildings often incorporate repeated modular units and exposed building functions. 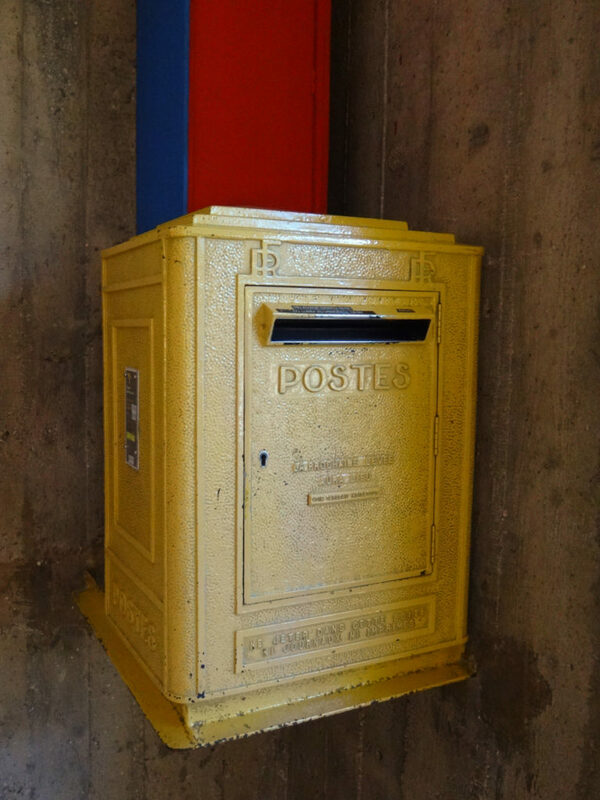 You may have lived in a brutalist building while a university student. I can think of a couple twin towers at The Ohio State University when I was there (known facetiously by students and parents as Sodom & Gamorrah in the age of free love). 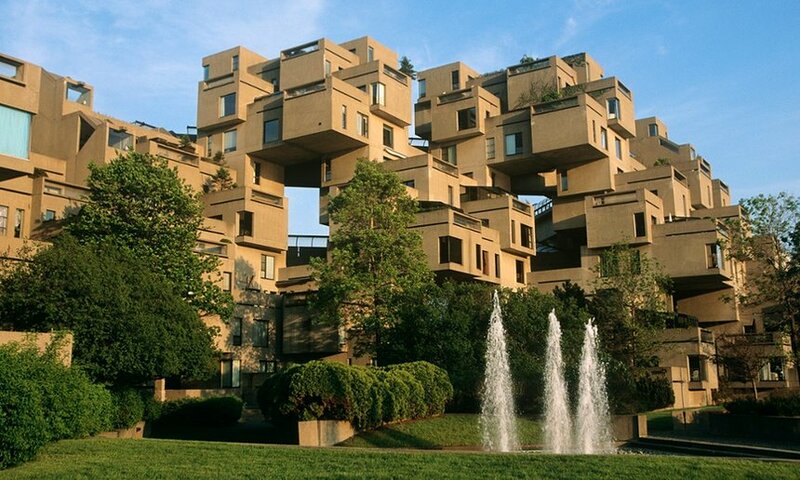 I kept thinking that this building reminded me a lot of the Habitat 67 at the World’s Fair in Montreal. Then I realized, this building was a bit of a deconstruction of Unite d’Habitation. 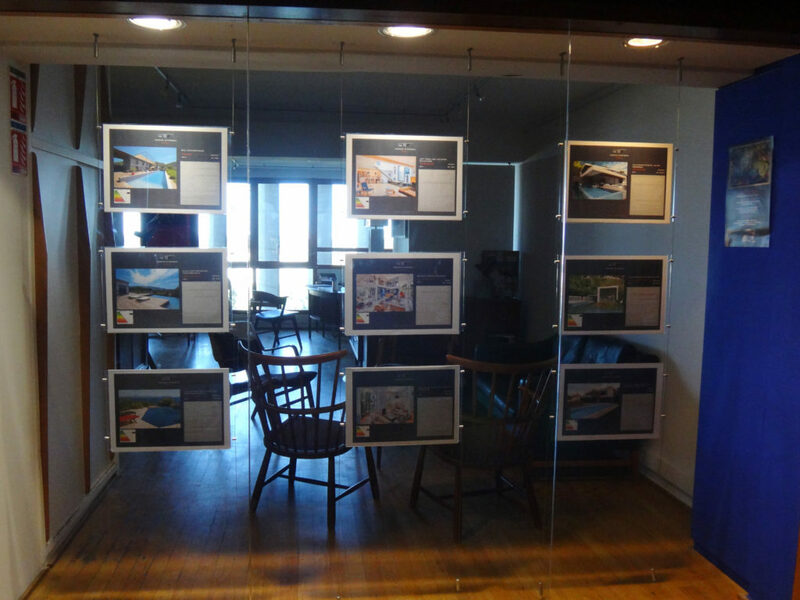 I’m no architect or even a critic. But I do find it fascinating that minds sharper than mine are working to explore new and better ways to live. I am thankful to Daniel and Carole for giving me the chance to tour Unite d’Habitation. 1. 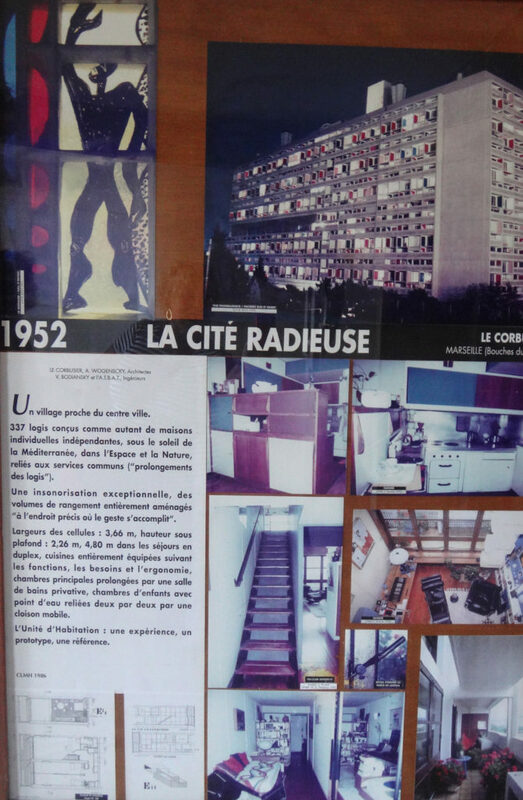 This is the first entry, Unite d’Habitation Le Corbusier. Marseille, France.